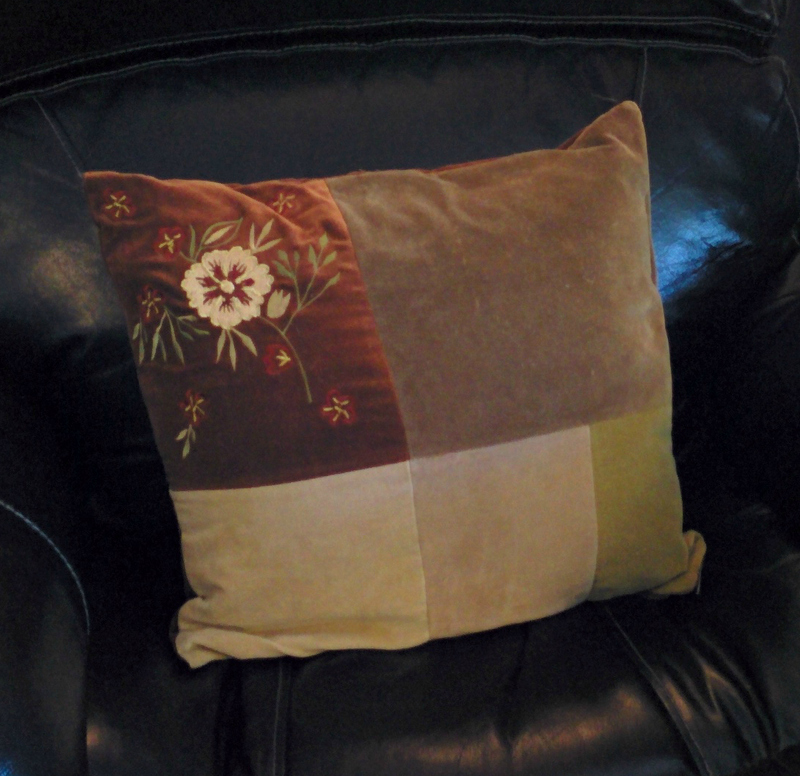 This is my ugly pillow… Pretty ugly, eh?! 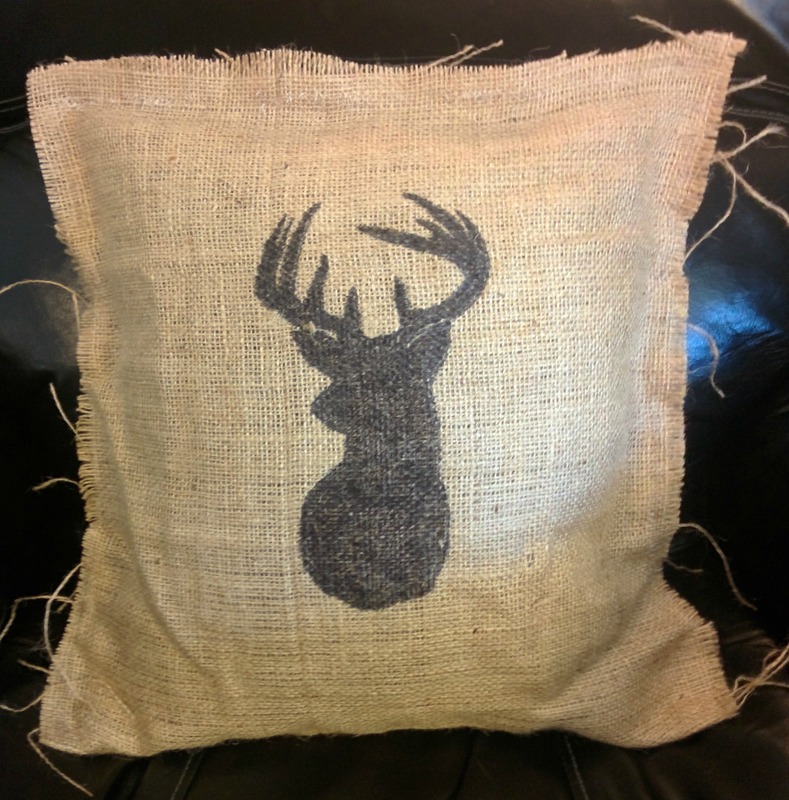 The first thing that I did was measure and cut out the pillow on a piece of burlap. Since I don’t know how to sew, (did I mention my mother is a professional seamstress by trade? — A trait I definitely did not inherit! ), I left about a 1 inch border of material to go all the way around the pillow so that I could hot-glue it later on. Since I folded my burlap in half, I only needed to hot-glue 3 sides. During the hot-glue process I used a piece of card board to press the burlap edges together, so that the hot-glue didn’t burn my fingers!